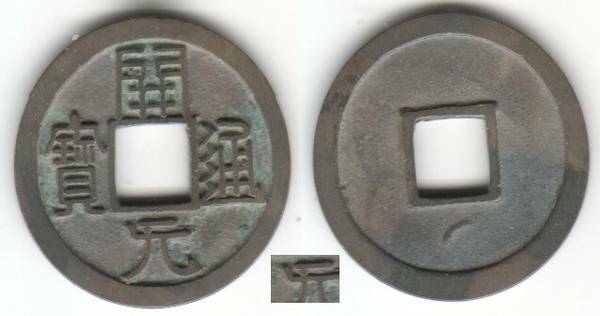 Kai Yuan Tong Bao 1 cash. Middle type cast 718-32. Unusually, the top stroke of the Yuan is joined to the lower part of the character. This does not appear to be accidental. Neither Hartill nor Schjoth list such a variety, but I believe the coin to be genuine. Has anyone seen another example? Very nice, I am going to have to look back through my coins. I took a quick look through Roger Doo's "Chronolohy of Kai Yuan Tong Bao" and did not see that extended stroke.